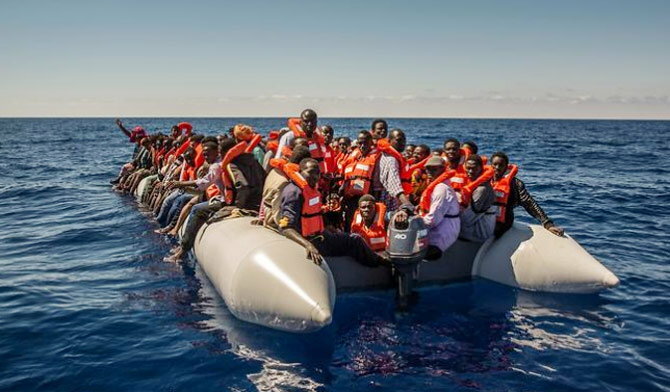 Around 250 African migrants are feared to have drowned in the Mediterranean after a rescue boat found two partially submerged rubber dinghies off Libya, a spokeswoman for the NGO which operates the vessel said Thursday. Laura Lanuza of Spanish charity Pro-Activa Open Arms said its boat had recovered five floating corpses close to the dinghies, about 15 miles off the Libyan coast. "We don't think there can be any other explanation than that these dinghies would have been full of people," she told AFP, adding that they would typically have been carrying 120-140 migrants each.